Hacked electronic road sign warns of "Hammertime"
We have repeatedly warned you not to hack electronic road signs. Now some free-spirited Portland, Ore., natives have hacked one to warn of impending Hammertime. 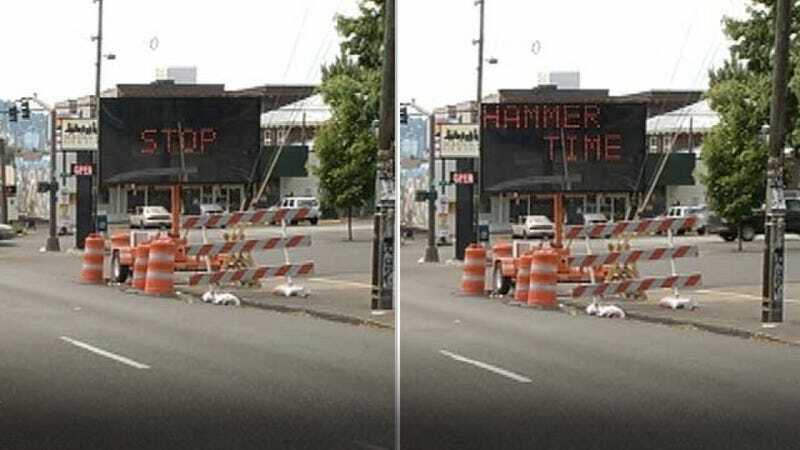 A sign on the Morrison Bridge on the Willamette River warns first to "Stop" and then explained it was "Hammertime." What did they ever do to you? The best part is local authorities are saying they need to get in touch with the contractor to get the sign changed back. Couldn't they just follow these directions? It works both ways. Is it because they can't touch this sign?